This keyhole draught excluder is approximately 24mm wide 41mm high and just 4mm thick. It is designed to fit underneath the back plate of lock door handles to prevent draughts. 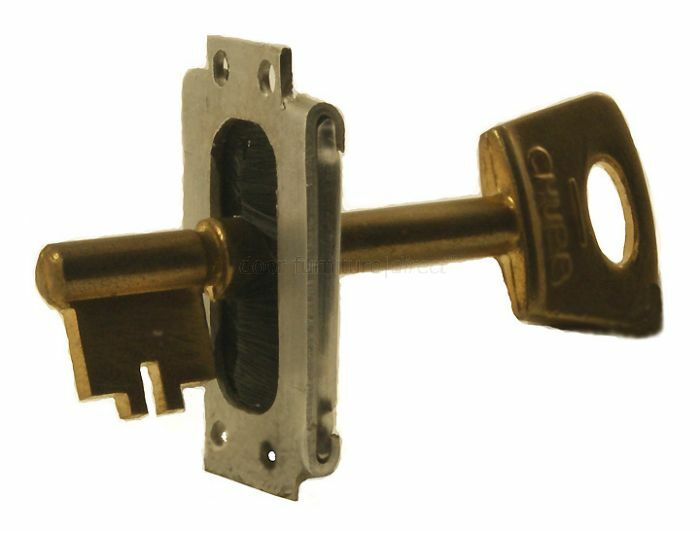 The key will easily pass through the integral brush to operate the lock. Improves privacy too. The approximate distance between the width of the screw hole centres measures 9mm and the height screw centres measurement is 34mm. Some lock handles, particularly cast iron are flat on the rear face of the back plate. The excluder can be let into the face of the door in these circumstances. Normally fitting one will be sufficient but two can be fitted (one either side of the door) in extreme situations.